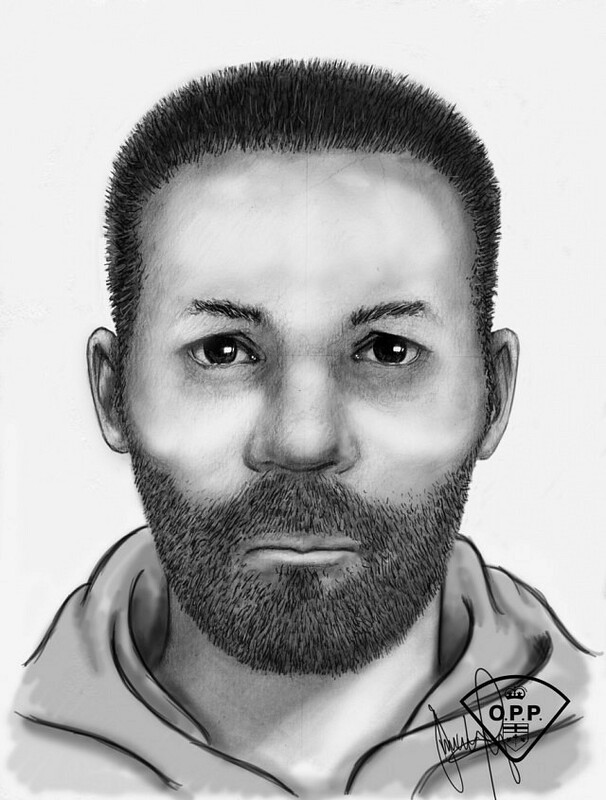 OPP have released a composite drawing of a suspect wanted for an assault in Harrow last month. Police say that sometime between 4pm and 4:30pm on Friday, August 24th the suspect approached the front door of a residence on Munger Avenue West and asked the victim for directions. The victim walked outside to speak to the suspect and was assaulted with a weapon. The victim attempted to detain the suspect however he fled the scene on foot. He was believed to have left the area in a light coloured vehicle. The suspect is described as a white male, approximately 25 years of age and approximately 6′ tall. He had short dark hair and a short dark beard and matching moustache. He was wearing a zip up hoodie with the hood down and baggy knee-length shorts. The OPP is asking anyone who witnessed this crime or who may be able to assist in the identification of this suspect to come forward. You can call the OPP at 1-888-310-1122. Should you wish to remain anonymous, call Crime Stoppers at 1-800-222-8477 (TIPS) or leave an anonymous online message at www.catchcrooks.com.